Paytm has introduced payments using BHIM UPI on its platform. Users can create their own Paytm BHIM UPI ID on the app, which will be issued by Paytm Payments Bank. Paytm users can link any of their Savings bank account with this unique Paytm BHIM UPI ID and start sending & accepting money. Paytm BHIM UPI IDs are being accepted across all banks and BHIM UPI apps. To create UPI ID, users can go to the BHIM UPI section on Paytm app home screen. These IDs will be users’ registered mobile number. For example, if a Paytm user registered mobile number is 9123456789, the UPI ID will be generated as 9123456789@paytm. Users can link their Paytm BHIM UPI ID with their existing Savings bank account. This feature preview is currently available on the Paytm Android app and will soon be available on iOS as well. With Paytm BHIM UPI, users can now make seamless and instant money transfers directly between two bank accounts, with no waiting time to add beneficiary. They will also not have to share their bank account details and IFSC code with anyone to receive money. 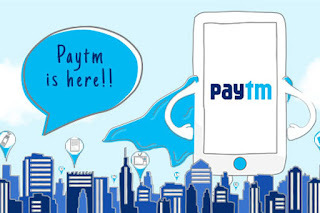 This will enable a larger pool of Paytm users to transact digitally with more choices, greater ease and convenience. Paytm will also be training its 5 million merchant partners to create their Paytm BHIM UPI ID and accept money using the same. Merchants will also get the flexibility of adding multiple bank accounts with the single Paytm BHIM UPI ID and accept money directly into their bank accounts. As per the National Payments Corporation of India (NPCI) guidelines, users can send up to Rs. 1 lakh a day using BHIM UPI; while there’s no receiving limit. 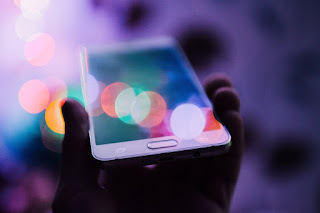 Enabling payments by using Paytm Wallet, BHIM UPI or other payment methods is part of the company’s efforts to democratize digital payments for its users and merchants and offer them more choices. This will not only make it more convenient for customers to transact on the Paytm platform, but also boost business opportunities for Paytm merchants as they will be able to accept payments from a wider set of customers.